Peritoneal carcinomatosis is the most common mode of post-operative recurrence in gastric cancer patients , Prophylactic intraperitoneal administration of anticancer drugs in aqueous solution is not always efficacious. The small water-soluble molecules in commonly used anticancer drugs are absorbed rapidly from the peritoneal cavity into the circulation  and cannot maintain the concentration at an effective level for a long time. In contrast, corpuscular particles are gradually absorbed and are retained in the cavity . We have developed a new dosage formulation to administer an anticancer drug in which mitomycin C is adsorbed onto activated carbon particles (MMC-CH). 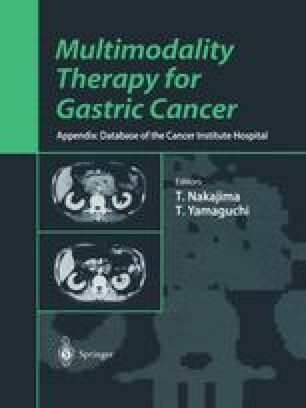 We present here basic experiments and a clinical study on the prophylactic effects of MMC-CH against peritoneal recurrence of gastric cancer.